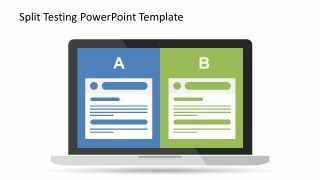 Cover slide to start the presentation with a descriptive Clipart. 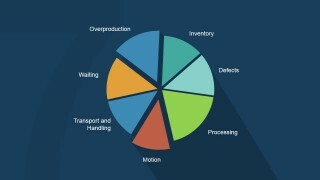 It features a Pie chart providing insights of the content of the deck. 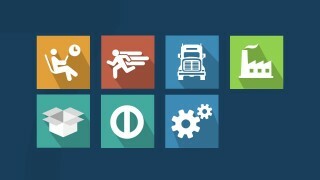 Seven Types of Muda Titles, displayed in a two column four rows layout and decorated with a warm flat palette. 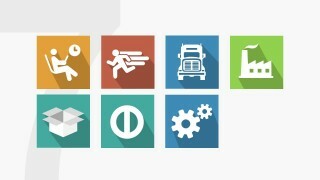 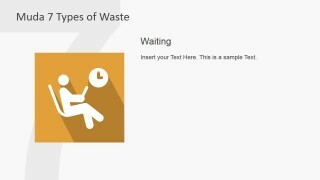 Visual Metaphors in forms of PowerPoint Icons and Clipart Picturing the 7 Muda Types of Waste. 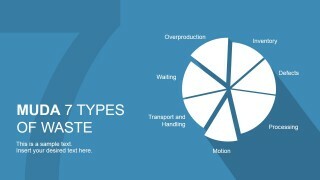 Pie Chart Infographic to present the quantitative analysis of the amount of waste of each Muda type. One Slide for each Muda Type created with a two vertical tiles Layout. 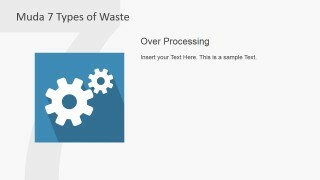 Reducing waste is the most effective way of improving profitability, and there is an extensive set of management tools to identify and optimize it. 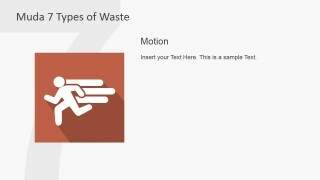 Lean movements traction and momentum. 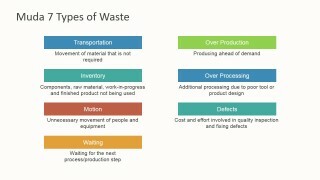 Lean practitioners have adopted Muda as their main mantra, and are extremely successful in identifying and correcting processes in time efficient way and with good results. 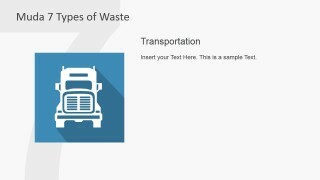 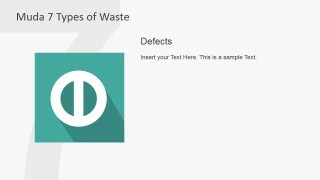 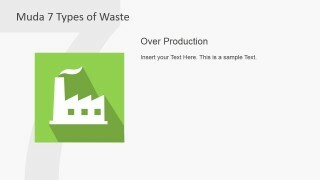 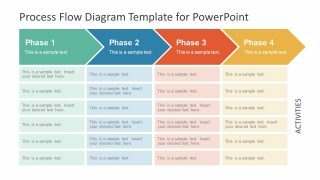 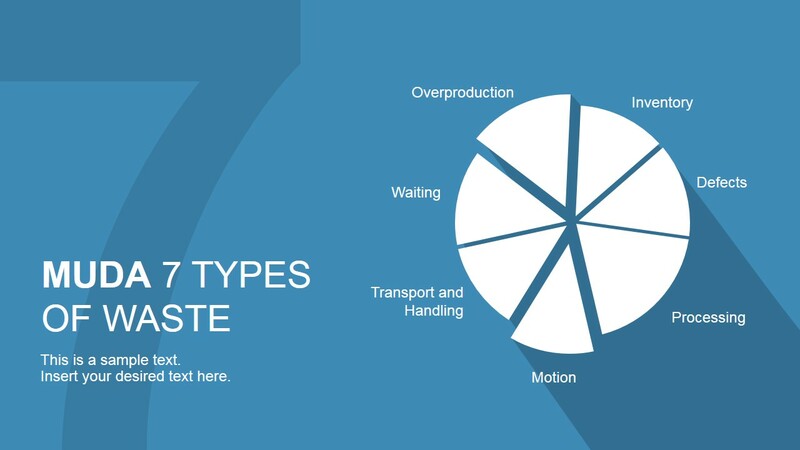 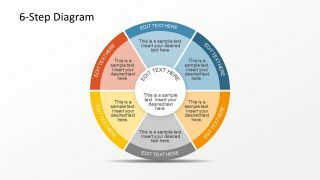 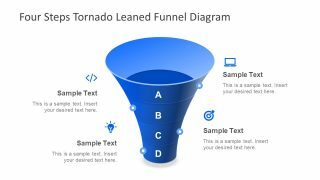 The Muda 7 Types Of Waste PowerPoint Template provides a cohesive presentation where users can quickly build a Muda Analysis and present it to their board or interested stakeholders.